The Petsafe PDT00-13625 Elite Big Dog Trainer trains your pet to stay by your side without a leash. At the push of a button, your remote sends a signal activating your dog's receiver collar. He receives a safe but annoying stimulation and quickly learn the association between his behavior and your correction. 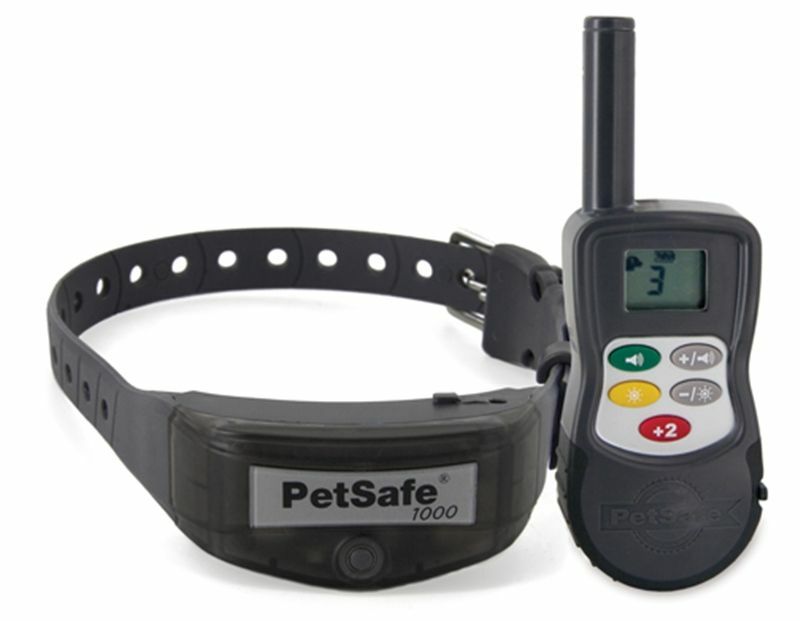 The Petsafe Venture Series / Elite Big Dog Trainer - PDT00-13625 has 1000 yards of range and 15 levels of correction and a +2 boost button. For Dog Weight Over 40 lbs. Click here - PetSafe Elite Big Dog Trainer Owner's Manual.